CVS plans to transform some of its stores into "health hubs," retail locations revamped to include more health care services and products. One of the first is in Spring, Texas, a suburb of Houston. 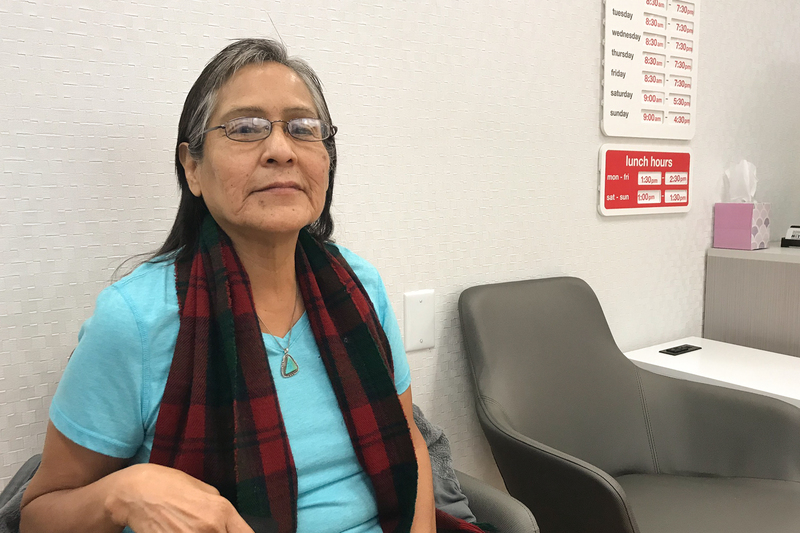 Rosita Rodriguez uses the expanded MinuteClinic at a local CVS store to help her manage her arthritis pain and diabetes. 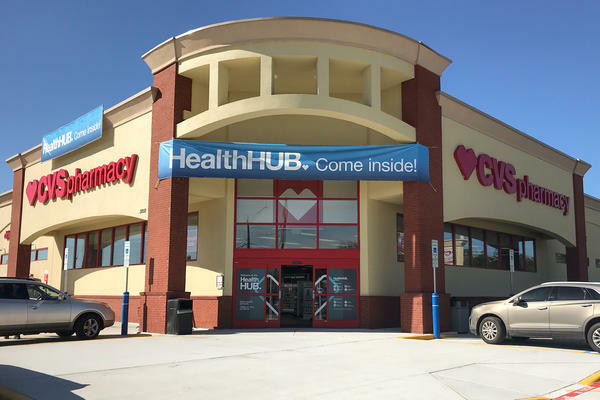 CVS's health hubs, like this one in Spring, Texas, offer a wider array of health products and equipment than the company's typical drugstore. To most people, CVS is the drugstore on the corner. The company wants to change that. 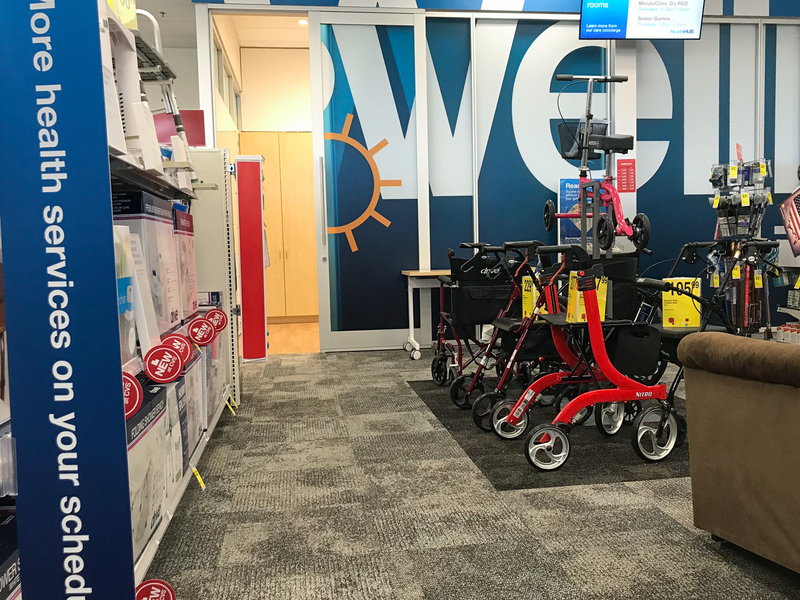 CVS bought health insurer Aetna last year, and now it's redesigning some stores to make them health care destinations. This week, CVS scaled back its earnings forecast, saying the transition will be a challenge. NPR's Alison Kodjak has more. ALISON KODJAK, BYLINE: When it comes to new ideas in health care, CVS is thinking bigger. ALAN LOTVIN: We're trying to transform the industry. KODJAK: That's Alan Lotvin, the company's chief transformation officer. LOTVIN: The health care industry for the longest time has been organized around providers, largely. KODJAK: He means doctors, nurses and hospitals. LOTVIN: I think there's an opportunity to really organize around the consumer. KODJAK: With 10,000 stores across the country, CVS is already where consumers are. Now it plans to transform a number of stores - some of which already have small MinuteClinics - into so-called health hubs with more health care services and products. The company hopes this strategy will help it grab a bigger share of the huge health care economy. The transition won't be easy, though. CVS became responsible for ensuring 22 million patients when it bought Aetna and says profits this year might suffer as it begins combining the companies and converting stores to health hubs. The other day, I visited one of the first in the Houston suburb of Spring, Texas. At first glance, it's not all that different from any other CVS. There are aisles packed with candy and Band-Aids, fridges full of soda and, in the back, a bustling pharmacy counter. KODJAK: But over to the side, there are sliding doors with the word wellness in giant letters. Behind them, a dozen seniors are taking a free yoga class. UNIDENTIFIED PERSON: Really focus on coming back to that easy, slow breath. KODJAK: Rosita Rodriguez is one of them. ROSITA RODRIGUEZ: I did yoga, and it was such a joy. It was different. KODJAK: She's 68 and uses the store's expanded MinuteClinic to help manage her arthritis pain and diabetes. The store is easier to get to than her doctor's office, which is in central Houston. RODRIGUEZ: That's pretty far. It's pretty far from here. It's, like, maybe 20 miles. KODJAK: The MinuteClinic here is a major department with three exam rooms, a dietitian and a lab where people can have blood drawn. During my visit, an ambulance arrived. An EMT is rushed to an exam room. They came out later wheeling a patient out of the store. KEVIN HOURICAN: So it was an individual who came in because they weren't feeling well, and they were actually about to have a significant heart event. So they were sent to the emergency room. KODJAK: Kevin Hourican is head of CVS's retail operation. He says this is one advantage of having retail clinics all over the country. HOURICAN: Eighty-five percent of Americans live within three to four miles of a CVS. KODJAK: He says CVS is aiming to capture customers by helping people with chronic illnesses like diabetes manage their conditions. HOURICAN: So things for diabetics are a retinal exam or a foot exam or blood testing. DORA HUGHES: I see a number of upsides for patients. KODJAK: That's Dora Hughes, a physician and professor of health policy at George Washington University. HUGHES: Managing a chronic disease - I mean, that is hard work. To have CVS in their broad community footprint available to have providers that you can see at nights and on the weekends, to be able to get your blood work done when you want - I mean, that could be hugely beneficial for patients. KODJAK: But she says CVS has to put stores in areas where people need better access to care if they want to have an impact. The company chose this location because there are a lot of Aetna patients and a lot of people with diabetes nearby. Kosali Simon, a health economist at Indiana University, wonders if CVS could come between patients and their primary care doctors. There's some research that shows people with primary care doctors have better health in general, and diabetics get better care from primary care physicians than from other health care providers. KOSALI SIMON: I now might say, maybe I don't need to have a primary care physician that's connected to a hospital. KODJAK: CVS won't say how many stores it plans to convert to health hubs. The company wants to see how it goes in three trial locations first, all here in Texas. Alison Kodjak, NPR News.